Wyatt Ogilvy is the Principal Land Use Planner for Ogilvy Consulting. He has extensive project-level experience working with federal, state, and local agencies in the Lake Tahoe Region representing diverse client projects. Mr. Ogilvy serves as the agency liaison for project teams seeking environmental determinations or agency permits from the Tahoe Regional Planning Agency, California Department of Fish and Game, California State Lands Commission, California Tahoe Conservancy, California Regional Water Quality Control Board- Lahontan, US Army Corps of Engineers, and various local entities with project jurisdiction in the Lake Tahoe Basin. His experience also includes managing environmental documents that comply with the requirements of NEPA, CEQA, California Department of Transportation (Caltrans), and local jurisdictions. Wyatt has over 18 years of environmental consulting and project management experience in California and Oregon. He has been a project team member in over 200 diverse projects in the Tahoe Region since 1997. 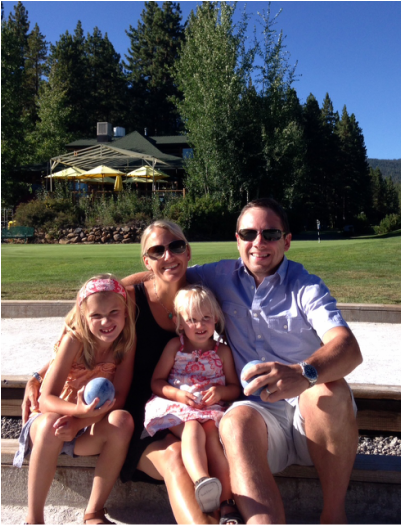 Residing in North Lake Tahoe with his wife, Kelley, and their two children; Wyatt enjoys leading an active lifestyle with his family in the Sierra Nevada.